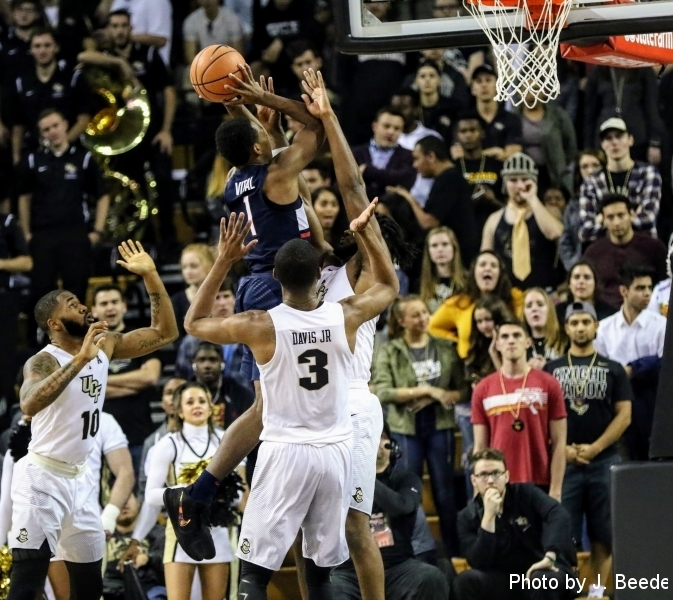 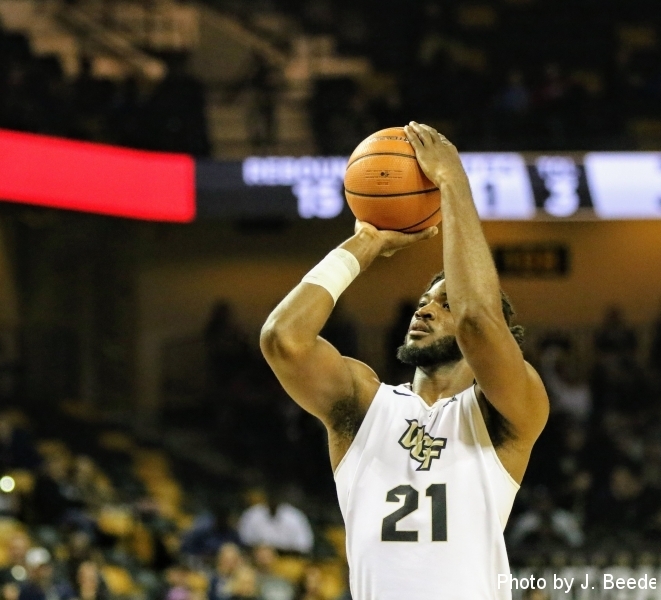 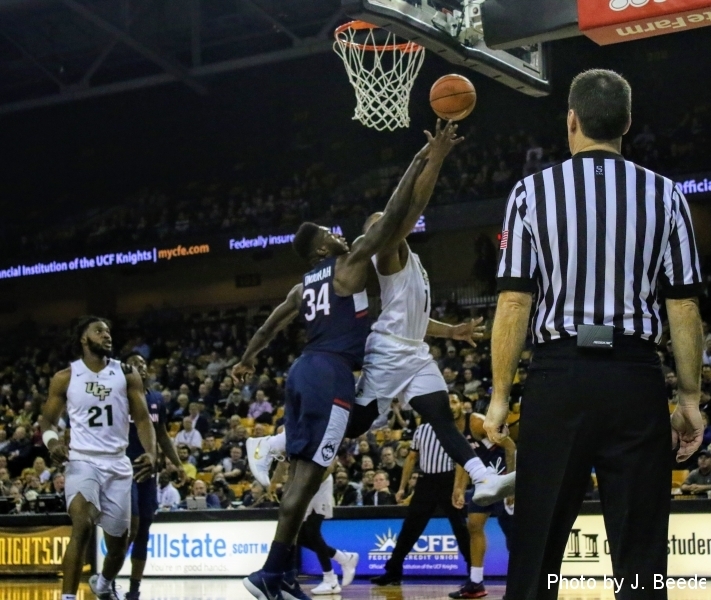 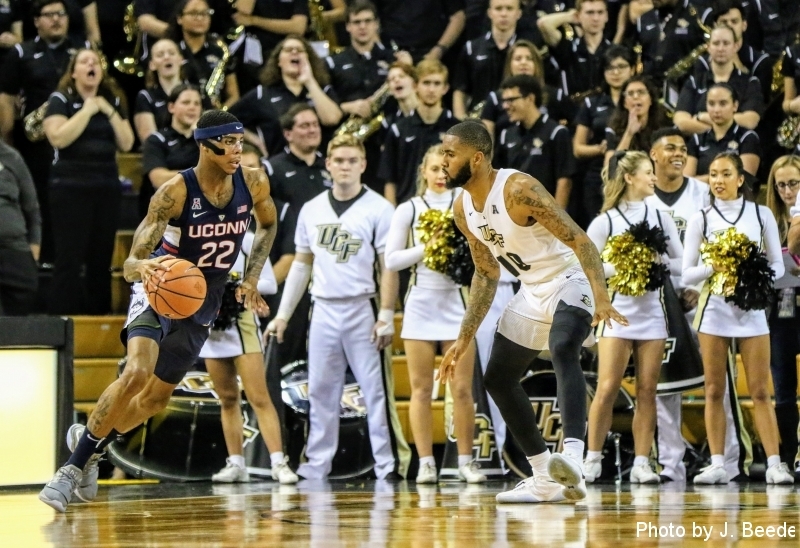 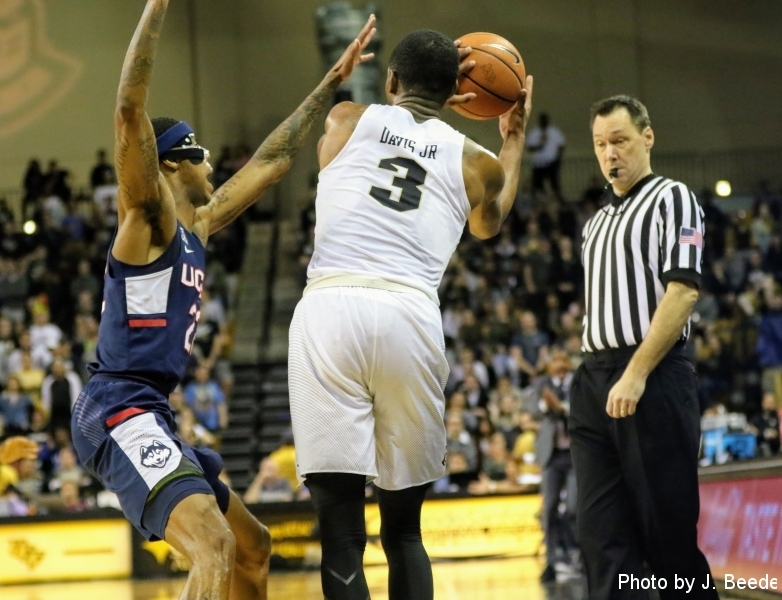 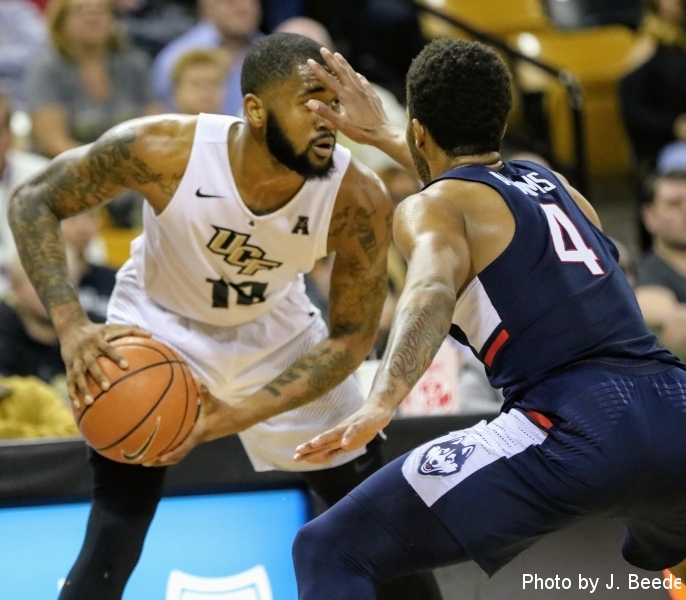 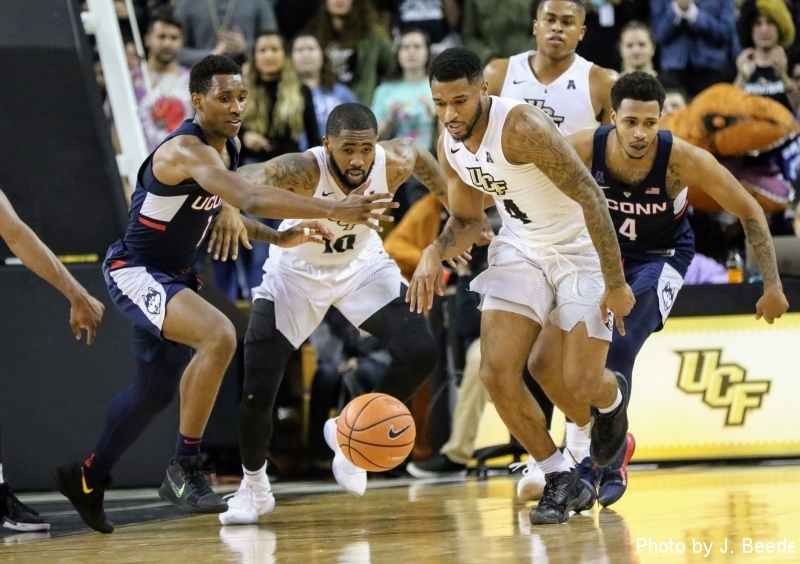 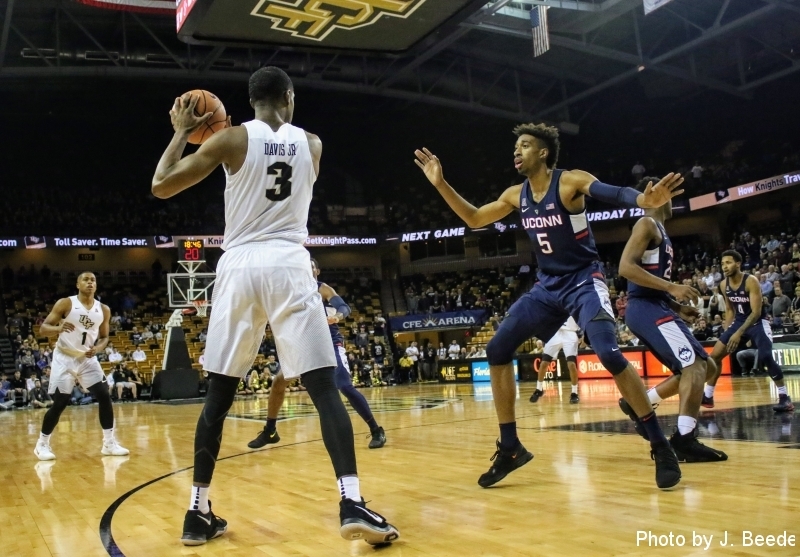 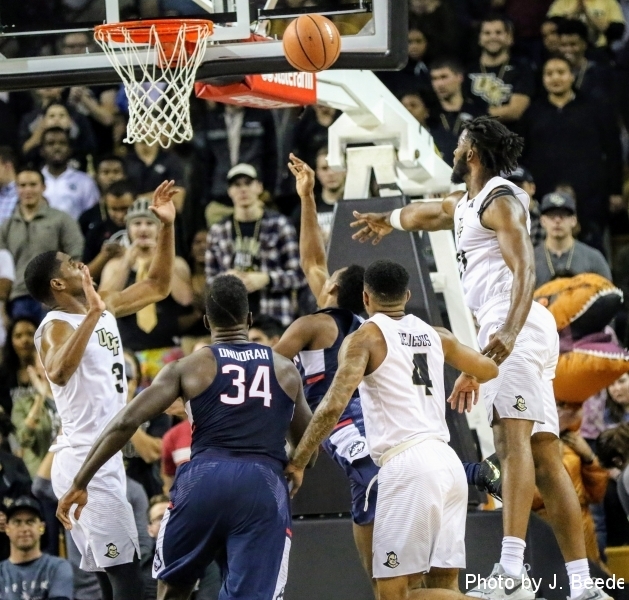 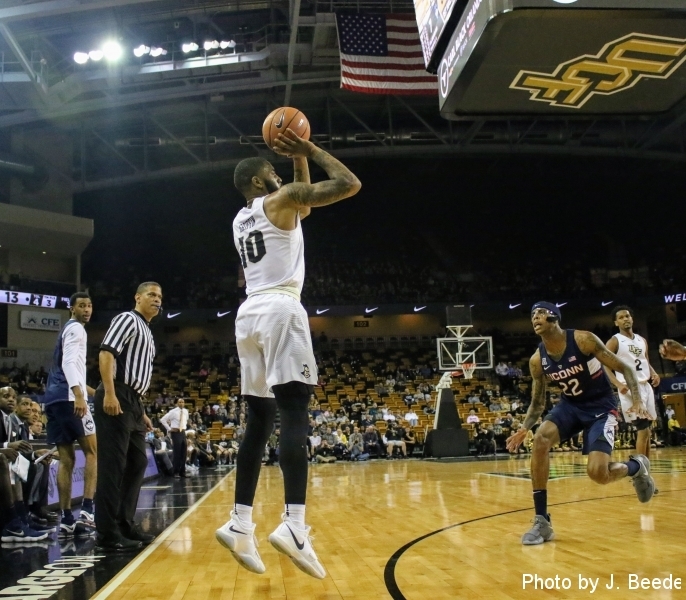 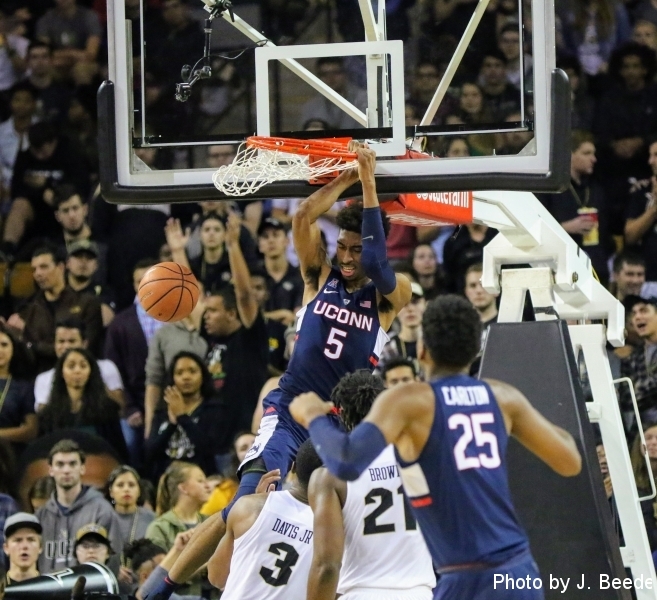 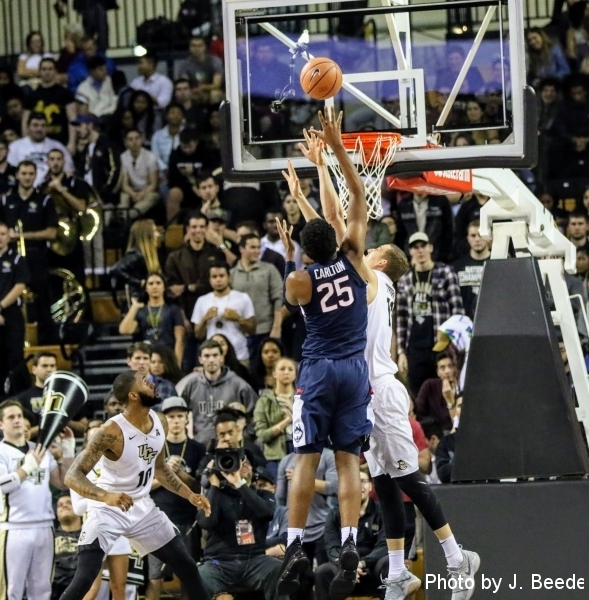 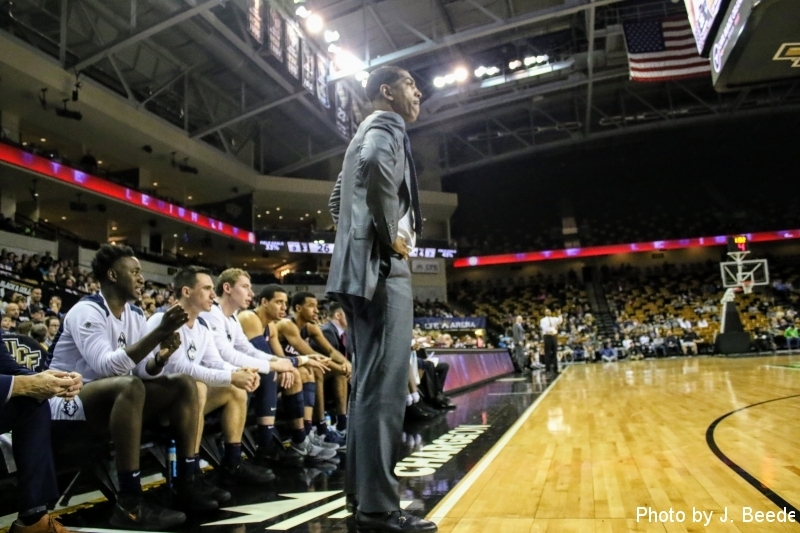 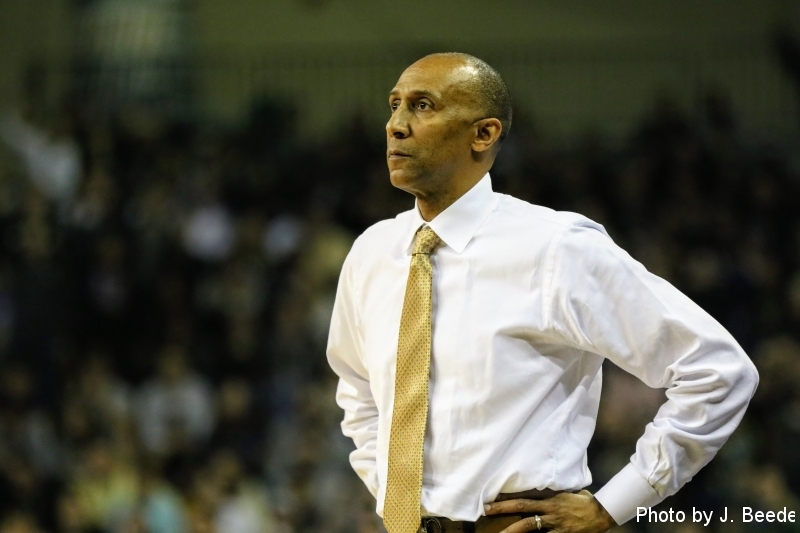 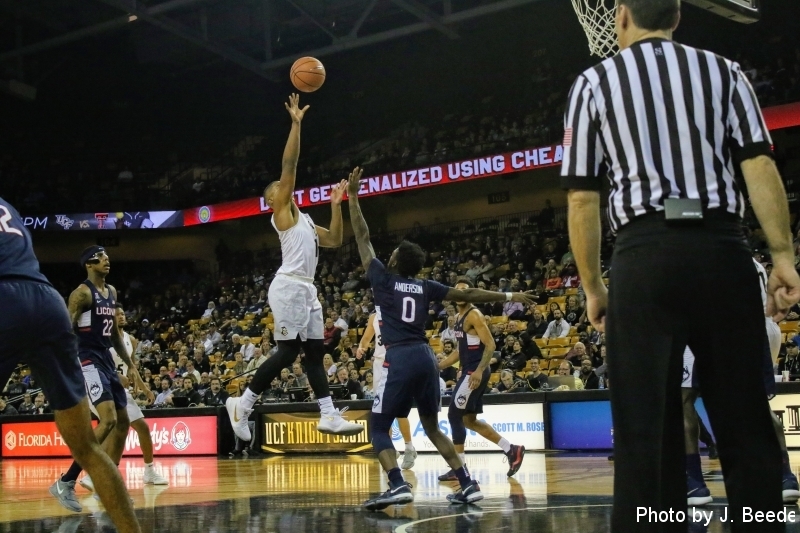 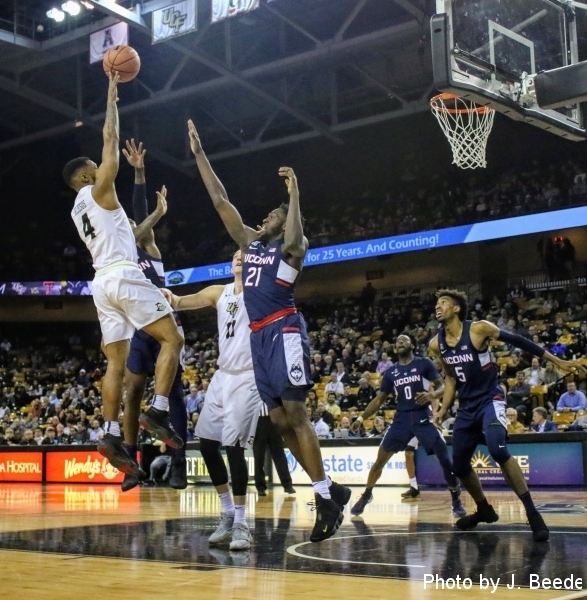 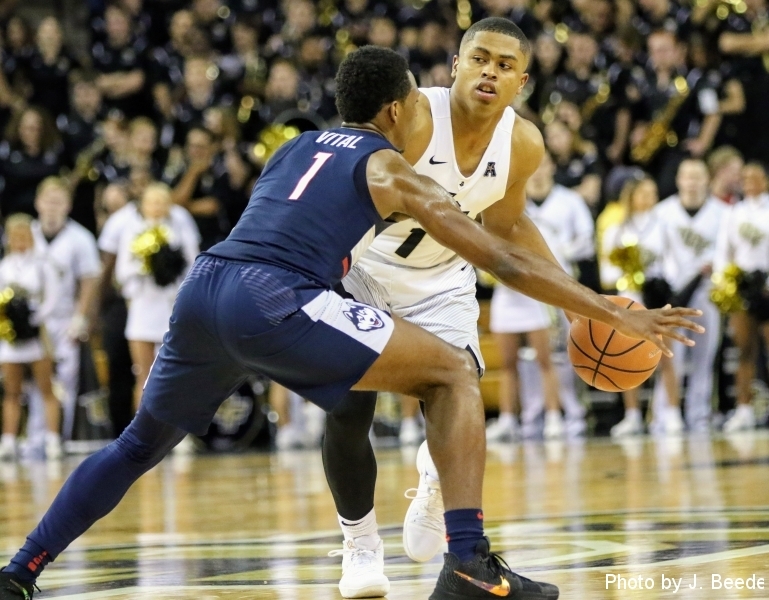 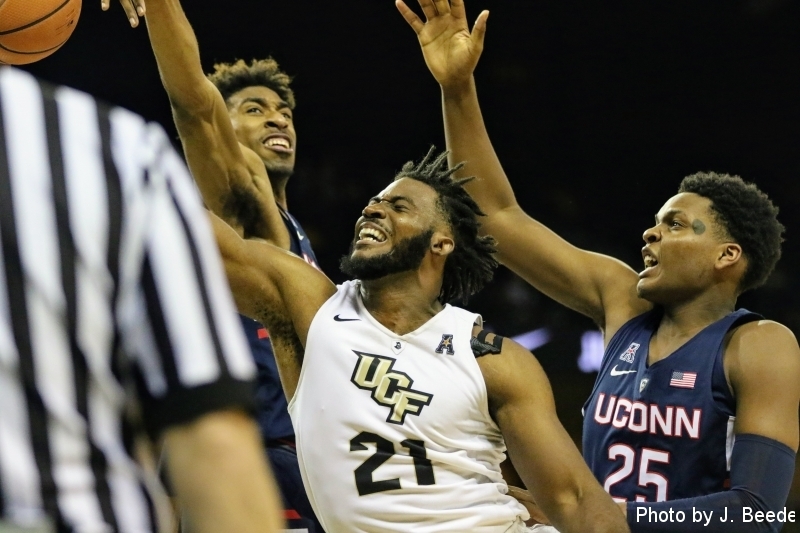 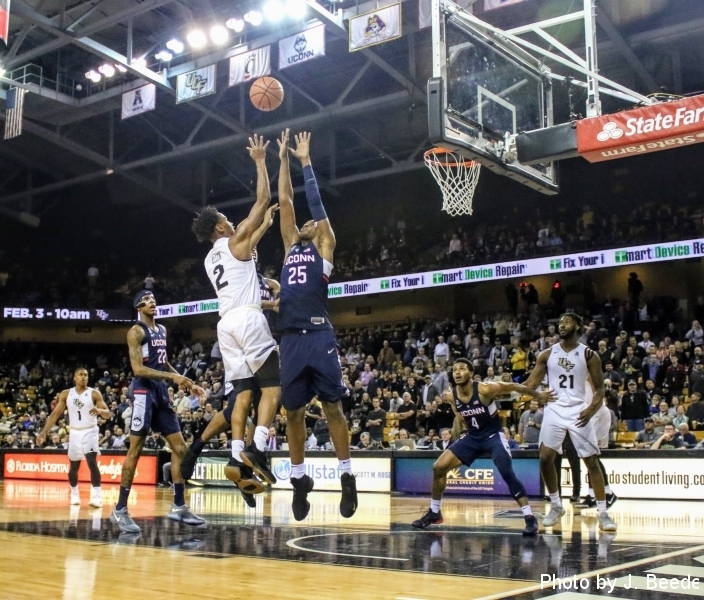 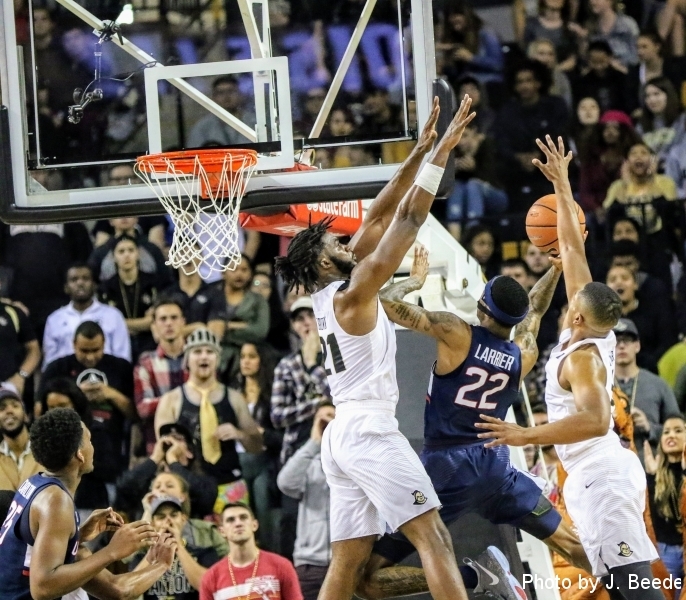 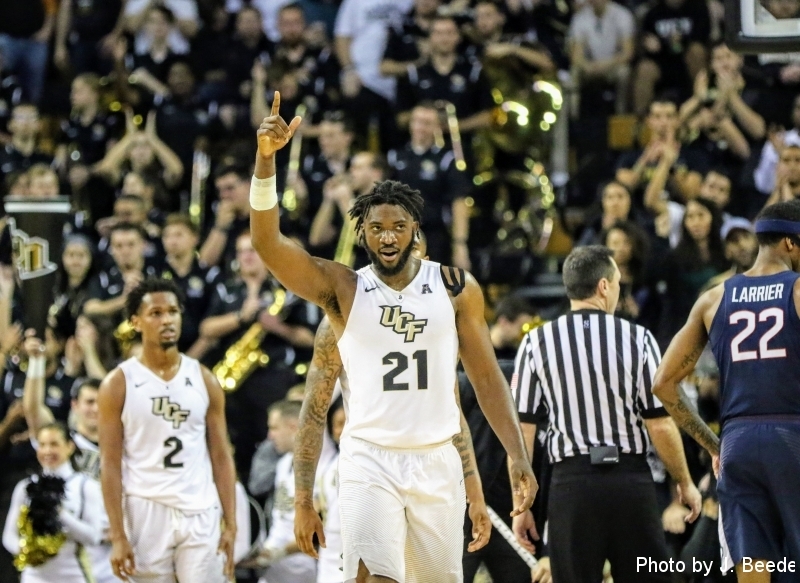 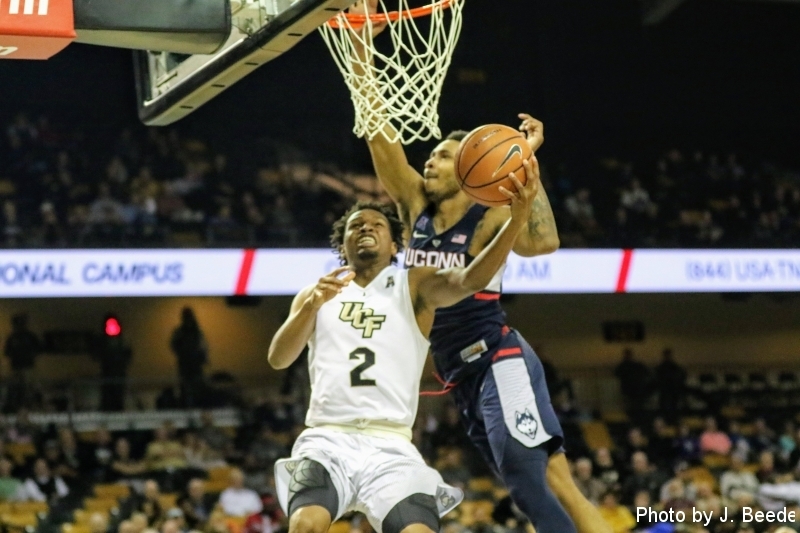 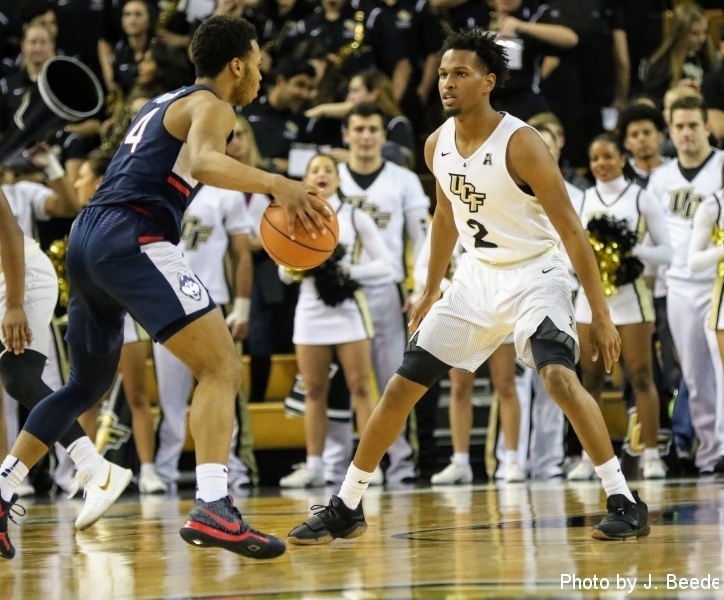 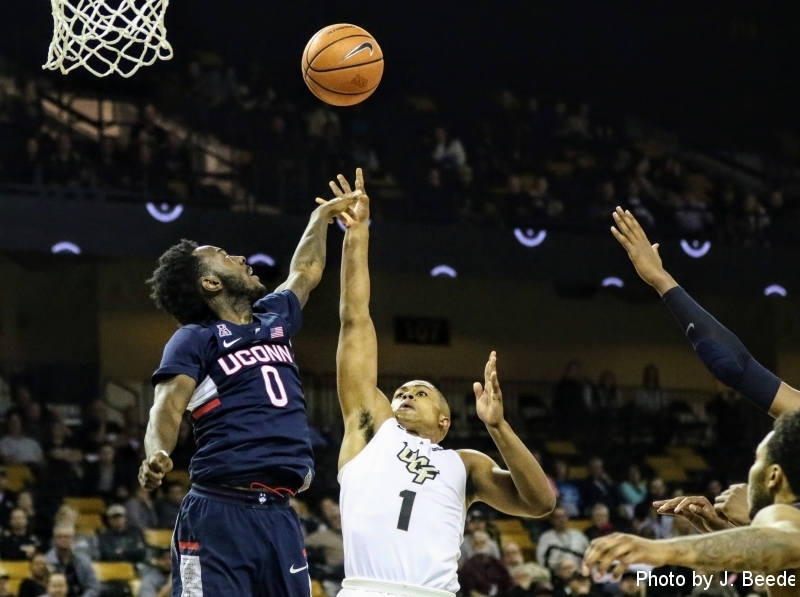 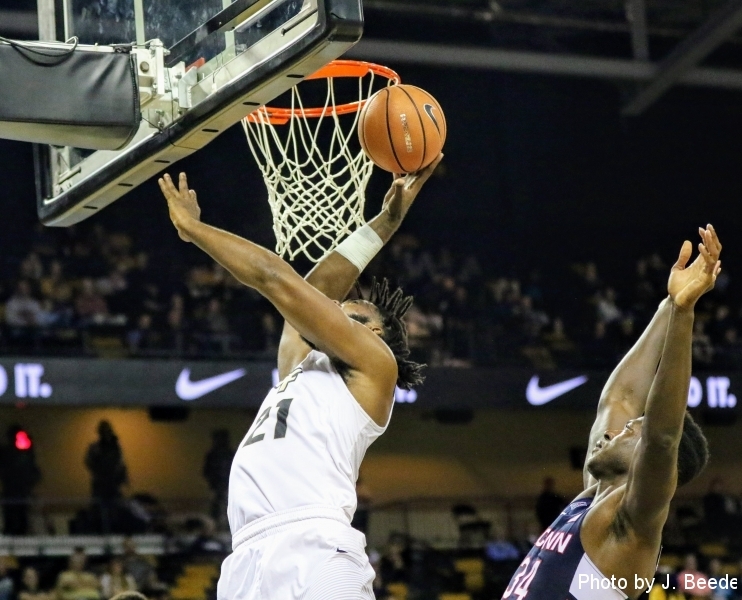 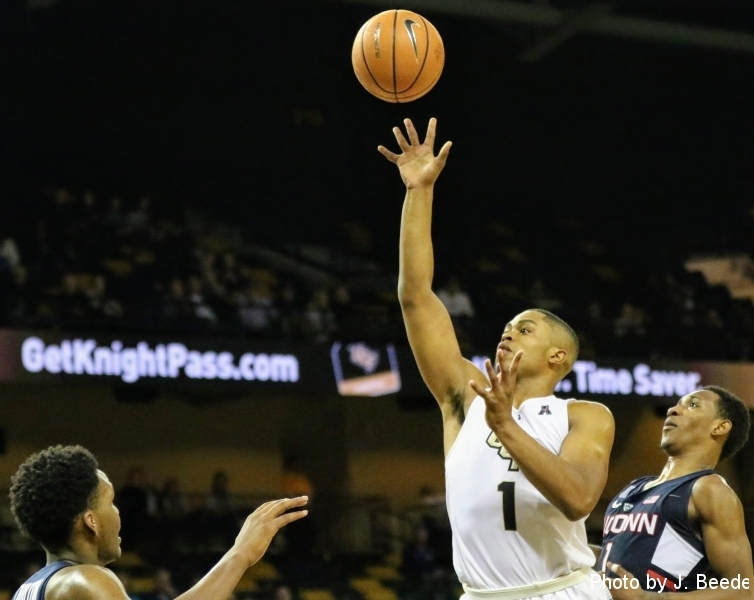 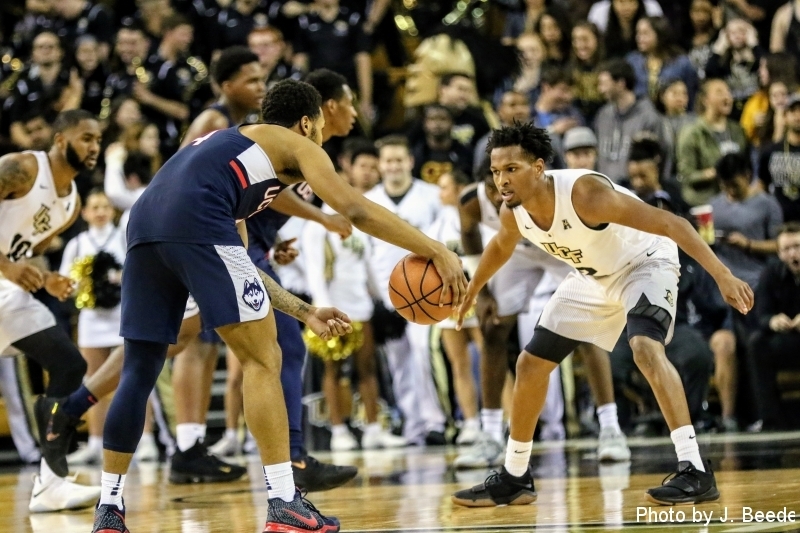 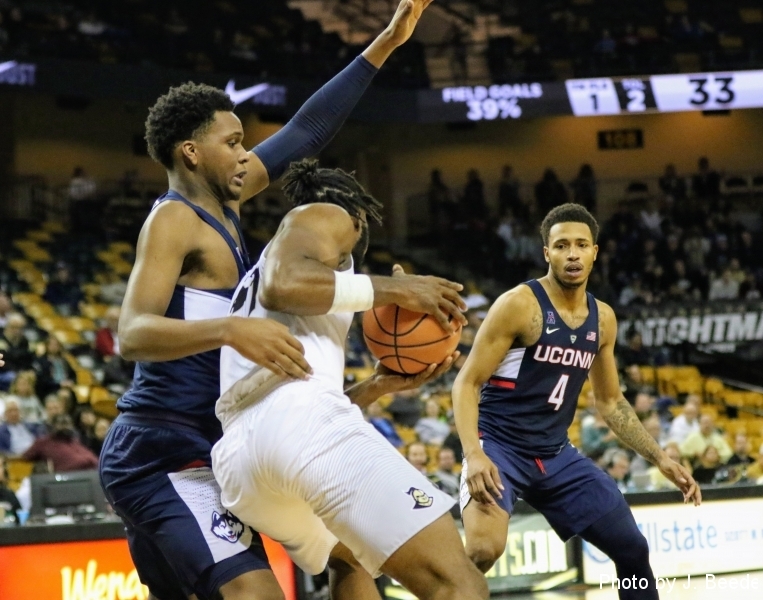 For just the second time in program history, the UCF Men’s Basketball team defeated the University of Connecticut. 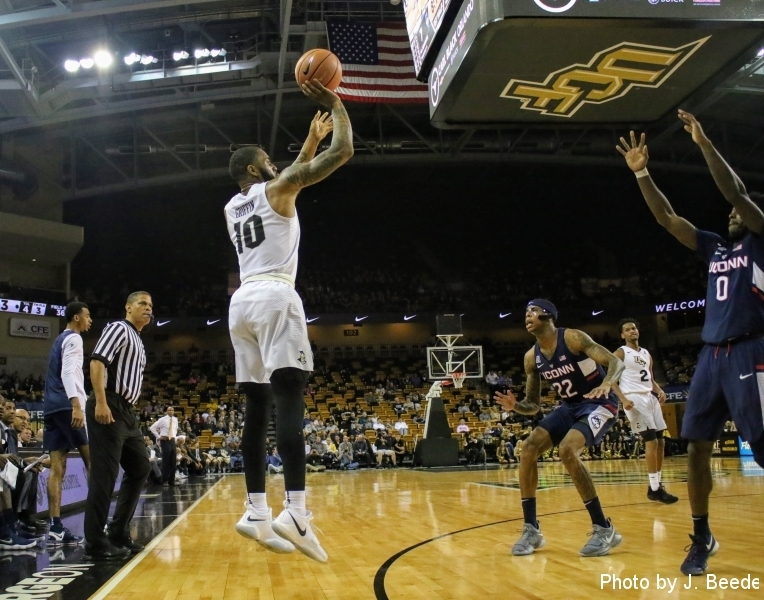 With the game tied at 50, UCF guard BJ Taylor scored or assisted on the next 9 points for the Knights, giving them a 59-54 lead. 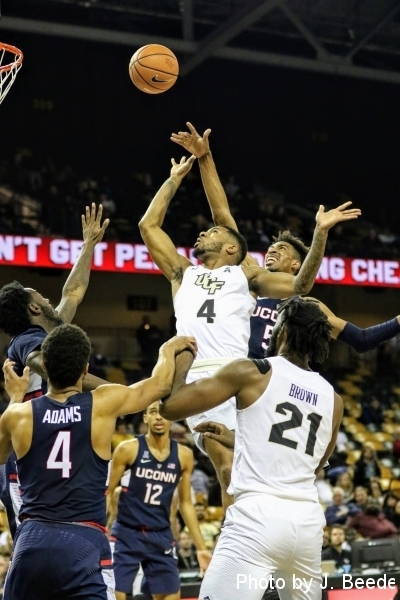 UCF never looked back after regaining the lead and came out on top 70-61 behind the 20-point performance from Taylor. 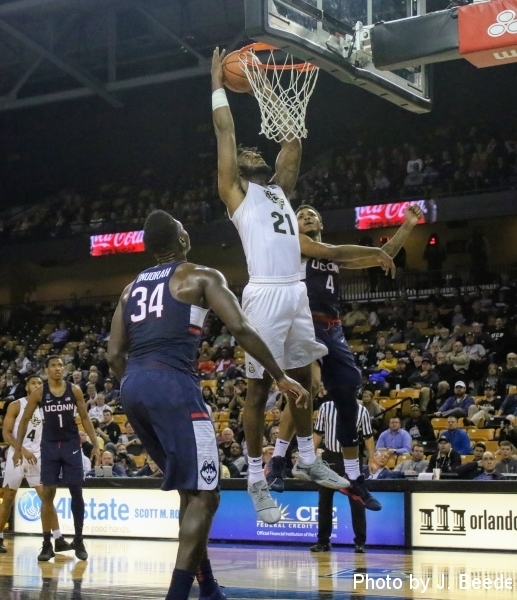 The Knights (14-7) are now tied for 4th place in American Athletic Conference standings with Memphis. 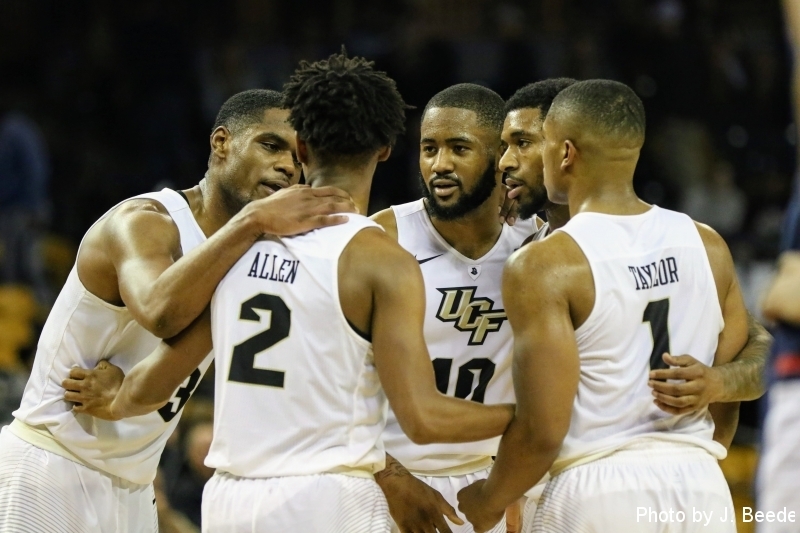 With a win on Saturday against a tough Houston team at home, head coach Johnny Dawkin’s squad could finish the day as high as third in the AAC standings. 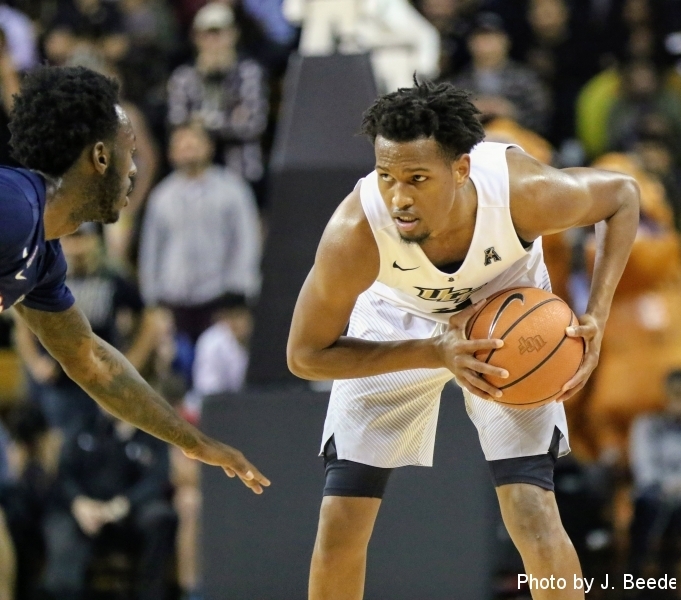 “I think it’ll all end up working out,” said Dawkins about his team’s struggles from the charity stripe. 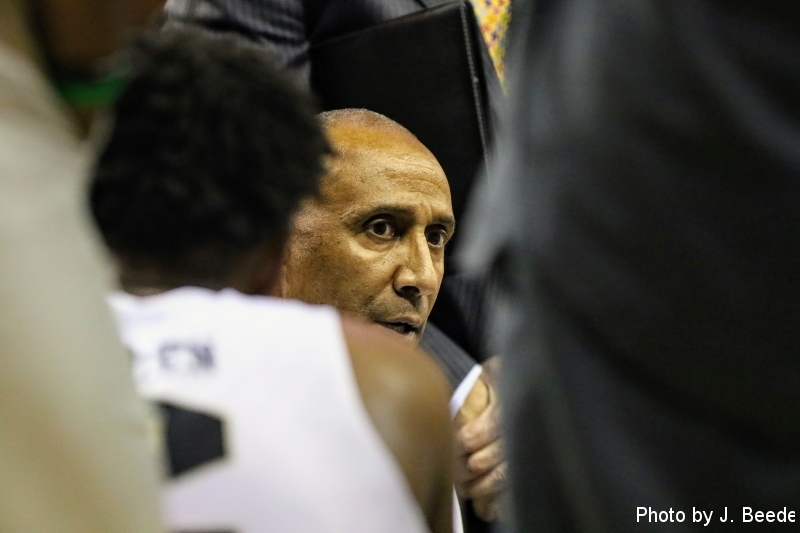 “They’re going to have a night where it starts to click. 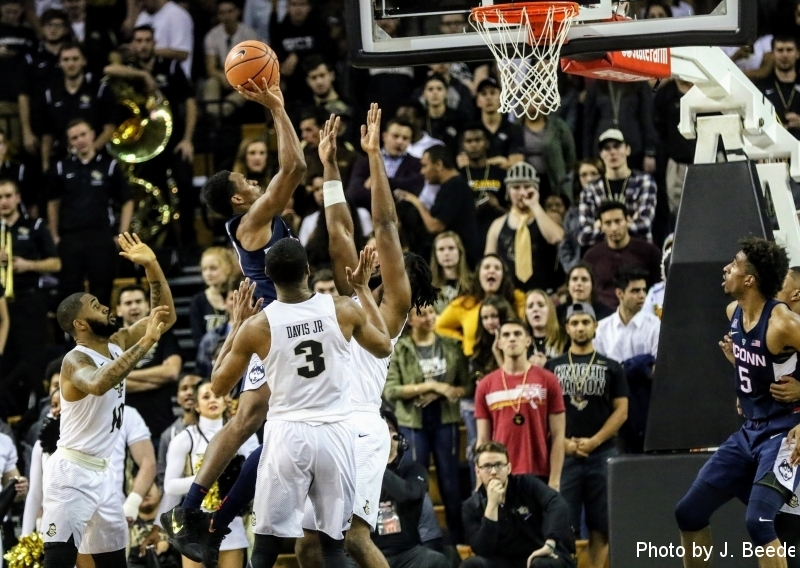 We’ve seen it happen before because they’re all good enough shooters to be more consistent from the line. 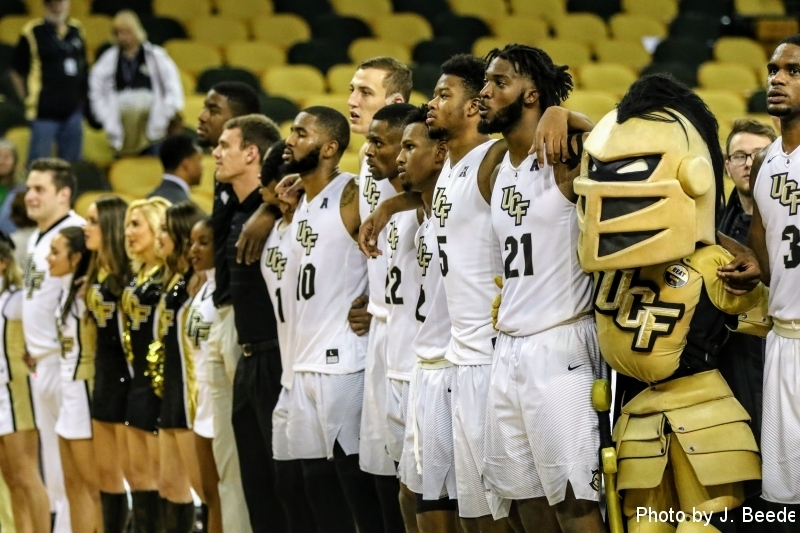 This entry was posted in UCF Men's Basketball, UCF Sports.